Is Your Agency Committed To Your Success? We Are. We're a strategic marketing partner that's highly focused on our clients' success. In fact, we guarantee it. We have proven strategies to help companies get found and grow their businesses. Doing this is easier said than done. But we have the deep knowledge of both the industries in which our clients work and the digital marketing strategies that are required to attract customers and push them through the buyer’s journey and to our clients' sales teams. We’re a different kind of agency because our approach is intertwined with and influenced by our industry-specific experience. It allows us to work with companies like consultants as opposed to order-takers. We focus exclusively on B2B organizations, with an emphasis on companies in the transportation, logistics, manufacturing, distribution and professional services industries. Your website doesn’t deliver leads. We have a comprehensive strategy to fix this. We also have the ability to develop a custom site that works optimally on all mobile devices, promotes a user-friendly experience and provides the content your buyers need to convert into leads. Your sales team lacks quality leads. Not all leads are created equally, and your sales team can’t afford to waste its time dealing with leads that won’t become ideal customers. We have strategic approaches that identify who your buyer personas are, where they are online and how to best reach them. Additionally, we use proven digital marketing tactics that generate quality leads and nurture them until they’re ready to buy. Your sales team has no way of knowing which marketing and sales efforts are working. We have the ability to gather detailed information on leads from the moment they first engage with your company. Then we continually analyze sales and marketing data so that we can deliver invaluable lead data to your sales team. Your customers aren’t familiar with your brand, and even if they are, they can’t figure out what makes you special. We have trademarked marketing strategies and marketing solutions that will improve your brand awareness and clearly communicate your company’s unique value proposition. This improved awareness and differentiation is sure to increase your pipeline revenue. SyncShow-generated leads have helped some of our clients land over $1 million in new business. 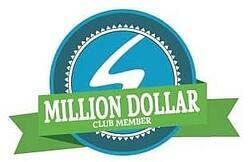 These clients have joined our Million Dollar Club. It’s a growing group that we’d love you to be a part of. HubSpot leads the tech industry in creating both innovative software products and complementary marketing solutions that can completely transform how companies market, sell and manage customer relationships. 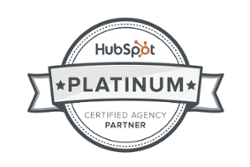 As HubSpot Platinum Partners, we get access to exclusive support, software and training. This means we can do more than simply provide you with a highly functional website with the latest features. We can provide a website that attracts visitors, converts them into leads and provides information to leads at every stage in the buyer’s journey. We’re also equipped with the latest marketing methodologies that will help you target the right buyers with the right marketing campaigns at the right time—greatly improving the number and quality leads your sales team receives. In short, our HubSpot partnership allows us to deliver comprehensive solutions that will help your company market, sell and grow. We're so confident in our ability to get results for our clients, we guarantee it. If you aren't satisfied with our work or the results you're getting, you don't pay your final bill*.